A coupon is an electronic data that represents the right to access a service provided by a service provider (e.g. gift certificates or movie tickets). 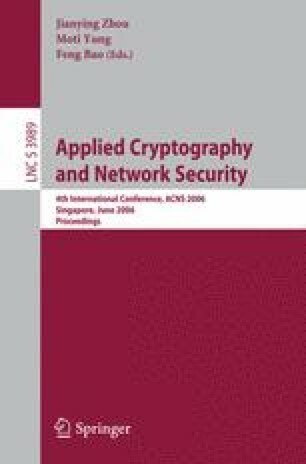 At Financial Crypto’05, a privacy-protecting multi-coupon system that allows a user to withdraw a predefined number of single coupons from the service provider has been proposed by Chen et al. In this system, every coupon has the same value which is predetermined by the system. The main drawbacks of Chen et al. proposal are that the redemption protocol of their system is inefficient, and that no formal security model is proposed. In this paper, we consequently propose a formal security model for coupon systems and design a practical multi-coupon system with new features: the quantity of single coupons in a multi-coupon is not defined by the system and the value of each coupon is chosen in a predefined set of values.